The biography reads that he is a "revivalist and founder of Holy Fire Ministries, and has authored several books with an emphasis on helping to restore the true spirit of Christianity in the Church today." The true spirit of Christianity in the church today. A noble self-statement from Bert Farias, who is a regular contributor to the cesspool of false teaching and prophecy that is Charisma News. He recently decided to wade into the waters on the NFL protest kerfuffle and in doing so revealed several issues wrong with the way political hacks disguised as Christians have been handling this ongoing social dilemma. The article is linked above so let us reason together beloved and see exactly what kind of spirit Mr. Farias represents and is trying to impose upon the church. That pride will become even more evident as we read on but it reveals a major disconnect as a Christian. The Bible makes it very clear that we are but sojourners and pilgrims through this life. 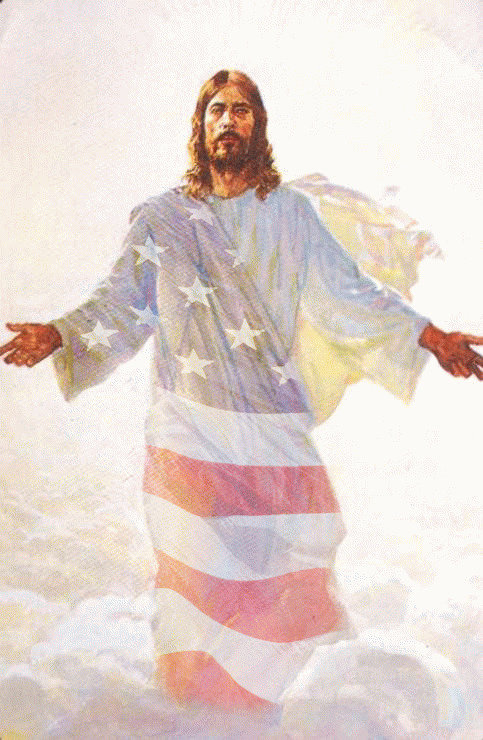 Our citizenship and allegiance is in heaven, not to any country on this mortal coil. Now, we certainly should try to be responsible people within the culture that we find ourselves in because we are ambassadors for Christ according to the Bible. That is not what Mr. Farias is stating here. He is an idol worshipper and this country is his idol. Worse than that however is that he only worships HIS view of this country and dismisses any other experience as somehow not being accurate or even worthy of consideration. He presents his familial experience but is completely dismissive of that fact that other people might have different familial experiences and value this country for other reasons. Many come here for the opportunity that Farias reflects here but others value this country for the chance to be free to express themselves. Many come from regimes and countries where that freedom did not exist. He also makes an arrogant conclusion that you can only love this country if you stand for the National Anthem. He also condescendingly concludes that because he chooses to directly correlate the flag and anthem to the military that everyone else must as well. Some are simply not as myopic. The flag represents everything this country stands for. "The protest of some of our NFL athletes has nothing to do with racism. It is not a black-and-white issue. That is only a smokescreen for another part of the leftist agenda. There are many black people across our nation that feel the same way about America that I and so many others do. They are true patriots and love what our nation was founded on and represents.